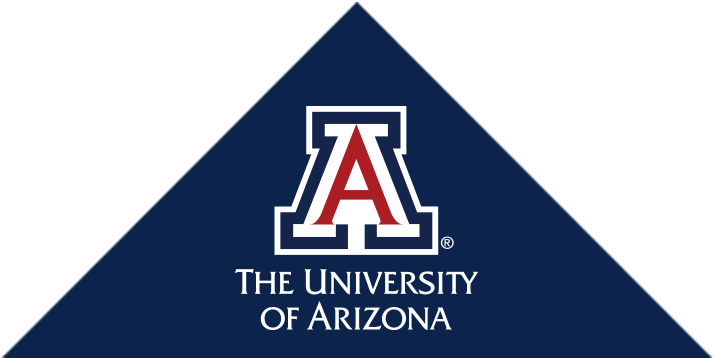 Dr. Hammer is a Research Scientist in the ARL Division of Biotechnology at the University of Arizona with joint appointments in Neurology and Ecology and Evolutionary Biology, and is a member of the Steele Children’s Research Center, Bio5, and the Arizona Cancer Center. Dr. Hammer’s research spans the fields of medical genetics and human population genetics. For the past 20 years, Dr. Hammer’s group has published over 100 articles documenting the African origin of human diversity, interbreeding between modern humans and archaic forms of the genus Homo, and genome diversity in the great apes. In the last 3 years, his research team has successfully employed next generation sequencing technologies to identify genetic variants causing neurodevelopmental disorders in undiagnosed children. This has led to the publication of articles identifying pathogenic variants associated with early onset epileptic encephalopathies. His lab is also pursuing studies to identify modifier genes that alter the expression of major genes and how they contribute to the molecular basis of clinical variability in Mendelian disorders. Veeramah, K. R., R. N. Gutenkunst, A. E. Woerner, J. C. Watkins, M. F. Hammer (2014). Evidence for increased Levels of positive and negative selection on the X chromosome versus autosomes in humans. Mol Biol Evol. Veeramah, K. R., M. F. Hammer (2014). The impact of whole-genome sequencing on the reconstruction of human population history. Nat Rev Genet 15(3): 149-162. Veeramah, K. R., T. M. Karafet, D. Wolf, R. A. Samson, M. F. Hammer (2014). The KCNJ8-S422L variant previously associated with J-wave syndromes is found at an increased frequency in Ashkenazi Jews. Eur J Hum Genet 22(1): 94-98. Estacion, M., J. E. O'Brien, A. Conravey, M. F. Hammer , S. G. Waxman, S. D. Dib-Hajj, M. H. Meisler (2014). A novel de novo mutation of SCN8A (Nav1.6) with enhanced channel activation in a child with epileptic encephalopathy. Neurobiol Dis 69: 117-123. Karafet, T. M., F. L. Mendez, H. Sudoyo, J. S. Lansing, M. F. Hammer (2014). Improved phylogenetic resolution and rapid diversification of Y-chromosome haplogroup K-M526 in Southeast Asia. Eur J Hum Genet. Elhaik, E., T. Tatarinova, D. Chebotarev, I. S. Piras, C. Maria Calo, A. De Montis, M. Atzori, M. Marini, S. Tofanelli, P. Francalacci, L. Pagani, C. Tyler-Smith, Y. Xue, F. Cucca, T. G. Schurr, J. B. Gaieski, C. Melendez, M. G. Vilar, A. C. Owings, R. Gomez, R. Fujita, F. R. Santos, D. Comas, O. Balanovsky, E. Balanovska, P. Zalloua, H. Soodyall, R. Pitchappan, A. Ganeshprasad, M. F. Hammer, L. Matisoo-Smith, R. S. Wells, Genographic Consortium (2014). Geographic population structure analysis of worldwide human populations infers their biogeographical origins. Nat Commun 5: 3513. Veeramah, K. R., L. Johnstone, T. M. Karafet, D. Wolf, R. Sprissler, J. Salogiannis, A. Barth-Maron, M. E. Greenberg, T. Stuhlmann, S. Weinert, T. J. Jentsch, M. Pazzi, L. L. Restifo, D. Talwar, R. P. Erickson, M. F. Hammer (2013). Exome sequencing reveals new causal mutations in children with epileptic encephalopathies. Epilepsia. Hammer, M. F. (2013). Human hybrids. Sci Am 308(5): 66-71. Wall, J. D., M. A. Yang, F. Jay, S. K. Kim, E. Y. Durand, L. S. Stevison, C. Gignoux, A. Woerner, M. F. Hammer, M. Slatkin (2013). Higher levels of neanderthal ancestry in East asians than in europeans. Genetics 194(1): 199-209. Yang, Y., D. V. Vasylyev, F. Dib-Hajj, K. R. Veeramah, M. F. Hammer, S. D. Dib-Hajj, S. G. Waxman (2013). Multistate structural modeling and voltage-clamp analysis of epilepsy/autism mutation Kv10.2-R327H demonstrate the role of this residue in stabilizing the channel closed state. J Neurosci 33(42): 16586-16593.